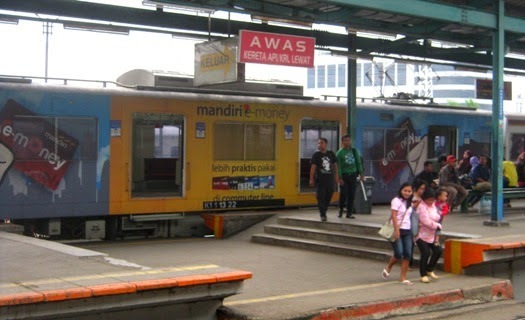 This commuter railway also known as Jabodetabek Railway is a mass rapid transit system in the Jakarta metropolitan area. 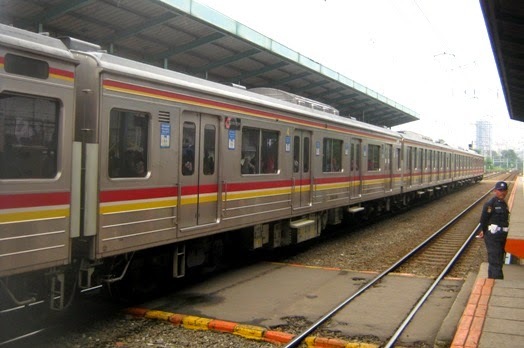 The railways provide commuters in Jakarta, Bogor, Depok, Tangerang, South Tangerang, and Bekasi cities. The existing trains are generally former trains in Japan and some are made in the country by PT. INKA (a subsidiary of PTKA, Indonesian National Railways Company). Source:wikipedia. While waiting at the transit station Manggarai, I captured different looks of commuter railways. Yes, it's really nice to travel by train, I love it! Looks a little like ours only we don't have commercials on them. is your train very long? The train in Malaysia is very long and takes off very quickly.